The Weinstein Company has announced that Justin Bieber continues to lend his support to the fight against bullying with use of his song “Born To Be Somebody” in BULLY’s newest TV spot. The spot premiered on Fandango today, just days before the film is released wide with a PG-13 rating in cities all over the country, and will begin airing on TV today as well. “We’re honored that Justin has decided to support this film and the movement that surrounds it,” said TWC President of Marketing Stephen Bruno. 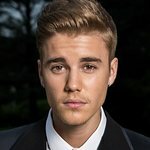 Bieber joins a long list of celebrities who have graciously supported the film’s mission and was one of the dozens of stars who helped #BullyMovie trend on Twitter recently raising further awareness as the film approached its release in theaters. Other celebrities have stepped out in their own ways to help get the word out including: Ellen DeGeneres featuring the families from the film on her show; Meryl Streep and attorneys David Boies and Ted Olson hosting an NYC screening; Victoria Justice, Giuliana Rancic and Joel McHale hosting the LA premiere; Anderson Cooper and Kelly Ripa hosting an NYC screening; Anderson Cooper hosting a town hall special on CNN to discuss bullying with Dr. Phil McGraw, Kelly Ripa and BULLY director Lee Hirsch; Tommy Hilfiger designing t-shirts; and many other supporters shooting PSAs. Companies including Bing and Twitter have partnered to help in the quest to reach as many parents, teachers and children as possible. And, in a move that inspired and rallied hundreds of thousands of supporters, Michigan high school student Katy Butler garnered more than half a million signatures on her petition to the MPAA on Change.org to lower BULLY’s R rating, which subsequently happened last week.